Intex is a company that sells above-ground pools and accessories to the public. The pools are popular among homeowners who do not want to dig a hole and install a frame for their pool. 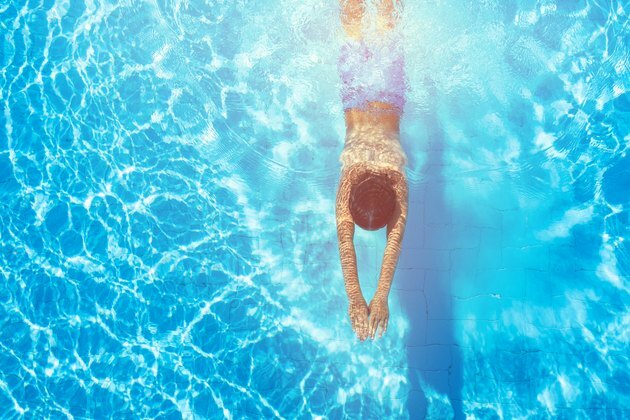 Instead Intex gives homeowners the option of their trademark "Easy Set" pools that feature soft sides that can be taken down at the end of each swim season. To keep the Intex pool clean, it's important to use an Intex pump, which is a small pump located on the outside of the pool that works by cycling the water through a connected filter and back into the pool. The Intex pool setup, including the installation of the pump and filter unit, is a simple process, as all accessories are included with the pump. Place the Intex pool pump on a level area or surface, 2 feet away from the hose connection on the pool wall. Place the nozzle union into the upper hose connection. The upper hose connection is located on the filter part of the pump. Connect the strainer union by placing it into the lower hose connection. The lower hose connection is found on the left side of the pump. These pieces will ensure the pool hose fits into the connections. Attach one end of the pool hose to the lower connection on the pool wall. Attach the other end of the hose to the upper connection on the pump. Secure the hose to the pool and pump using two hose clamps; tighten with the appropriate screwdriver. Attach the other piece of pool hose to the upper connection on the pool wall and to the lower connection on the pump. Secure the hose to each connection using two hose clamps; tighten using the appropriate screwdriver. Place a garden hose in the pool and fill the pool to 2 inches above the upper hose connection to ensure water enters the system properly. Plug the pool pump into an electrical outlet and allow the system to run. You will need to run the pump regularly to ensure the water does not become stagnant and is filtered or your pool will become dirty and may even become damaged. If you need a little more help, look up Intex pool instruction videos online to see examples of how the Intex pool pump instructions work In real life.